Happy birthday to Jean!! A couple weeks ago the FMKG (Friday Morning Knit Group) was pondering whose birthday was up next. 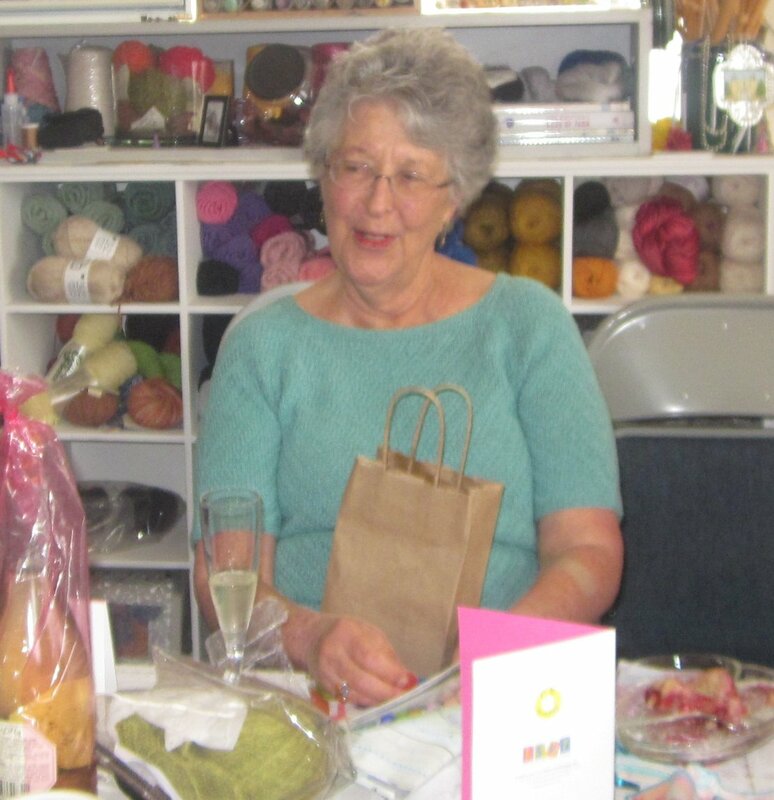 Jean was at this session…but not a word heard from Jean…I went to the birthday list and shouted out “It’s Jean’s birthday coming up!” Her special day happens between knit work shop sessions….we couldn’t decide this past Friday or the next one….so it’s both. This past Friday was the 1st celebration. Many of us could be there….Kimberly was back from her month in Nantucket….Cameron, Ellen, Patricia, and Rachell were otherwise committed….so some 14 of us gathered to celebrate wonderful Jean. And we knit too! Watch for posting about Debra’s finished baby afghan/blanket.